ANDOVER, Mass. 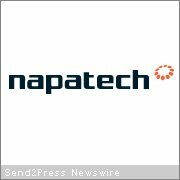 /Massachusetts Newswire/ — Napatech today announced the introduction of a new member to their NT4 family of high-performance 4 port 1 Gbps Ethernet network adapters for PCI-Express. The new adapter is named NT4E-STD and is an enhanced PCI-Express version of the widely deployed Napatech XD adapter for PCI-X. The NT4E-STD provides 4 x 1 Gbps Ethernet ports, doubling the number of interfaces currently provided by the XD Adapter and thereby halving the port cost. The NT4E-STD also provides complete RMON1 standard support allowing full off-load of statistics collection from host CPUs.